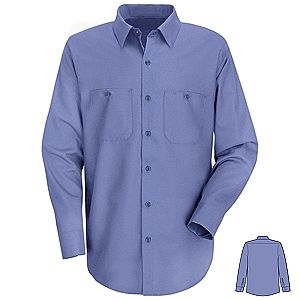 Long sleeve medium blue shirt has 2 chest pockets and button down front. USPS work logo applied. Available in Tall sizes MD-4XL TALL or EXTRA TALL.